The ultimate package to achieve solo gliding. If you really want to become a pilot, for £615 + current normal membership you get up to 1 year’s unlimited launches and flying time to achieve your target of going solo. 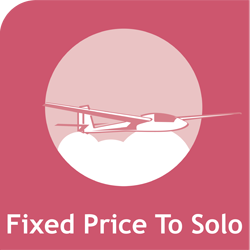 This unique scheme includes all winch launches, instruction and flying fees for a period of 1 year, or until first solo flight (subject to exclusions below) – all for the bargain price of £615 + £380 current normal membership! After 1 year, if the member has not achieved solo flight, the scheme closes and the member continues his/her training at normal club rates. The scheme must be entered into within 12 launches of joining ESGC and these flights will be credited towards the cost. As the scheme is intended to be used for training flights, all flights must be of an instructional nature, and flown with a BGA full-rated or assistant-rated instructor at Wormingford. Shared flights with other club members are not covered by the scheme. The maximum length of any flight paid for by the scheme is 1 hour. If a flight lasts longer than 1 hour, any duration in excess of one hour will be charged at the club per-minute rate in force at that time. Junior members are eligible for a 50% discount off the core pricing structure. For safety reasons, all members and visitors who fly with us must meet or exceed certain minimum medical requirements, and be neither too heavy nor too light for correct ballasting of the aircraft. The majority of people will meet these requirements with ease. For full details please see Medical and Weight Issues. Terms and Conditions are available here. Or contact our membership secretary on membership@esgc.co.uk for further details. 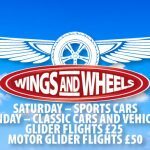 “This unique scheme includes all winch launches, instruction and flying fees for a period of 1 year, or until first solo flight (subject to exclusions below) – all for the bargain price of £630 + £365 Membership! Addendum to previous post: You are also not a seven day per week operation. Your yearly membership is expensive and on a par with other clubs that operate seven days per week. Thanks for your comment. Essex and Suffolk Gliding Club operate four days per week during the winter months rising to five, six or seven days during the summer months if our UK weather delivers suitable soaring days. We feel strongly that our current fees offer very good value for money and are certainly cheaper than the year round seven day per week clubs that you may be alluding to. We would be very happy to discuss your requirements in more detail and give you a trial flight if you wish to visit us in person. Hi Christopher, you are welcome to visit the club anytime, but the best operational days at this time of year would be Sat, Sun, Wed and Fri.
Hi Tommy, did you receive a satisfactory response to your question and information regarding ESGC’s Junior Cadet scheme? Is there a minimum age for the junior fixed price to solo please? Hi Theresa, thanks for your enquiry. I will ask our membership secretary to contact you directly about your question. Hi there, I am actually quite interested in the membership. I would like to ask, is there any classes involved in this? Hi, is there any payment plan / monthly payments available for this amount or is this a one of payment. Very interested in Gliding, something I’ve been interested in doing for a while. Hi Paul, pretty sure we can work something out to satisfy your requirement. If you call the club, someone can give you the membership secretary’s number so that you can discuss in more detail. I’ll also ask him to email you directly. Hi Scott, yes this experience would definitely count towards your solo progress and beyond. Please call the club and discuss these options directly with our membership secretary.